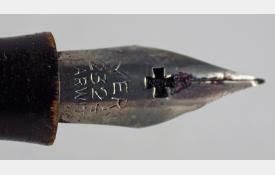 The Myers Pen is metal-cased and measures 13.5 cm capped. 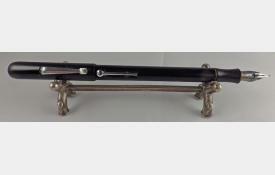 Quite an unusual pen and uncommon these days. 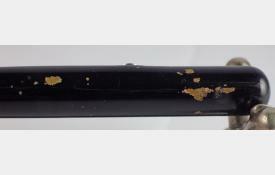 There are no cracks, major scratches or bite marks but there is some paint loss on the barrel, particularly where it has been posted. 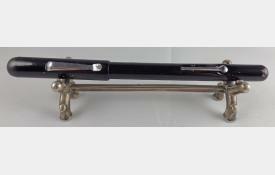 The chrome plating is good throughout and the push-on cap fits firmly. 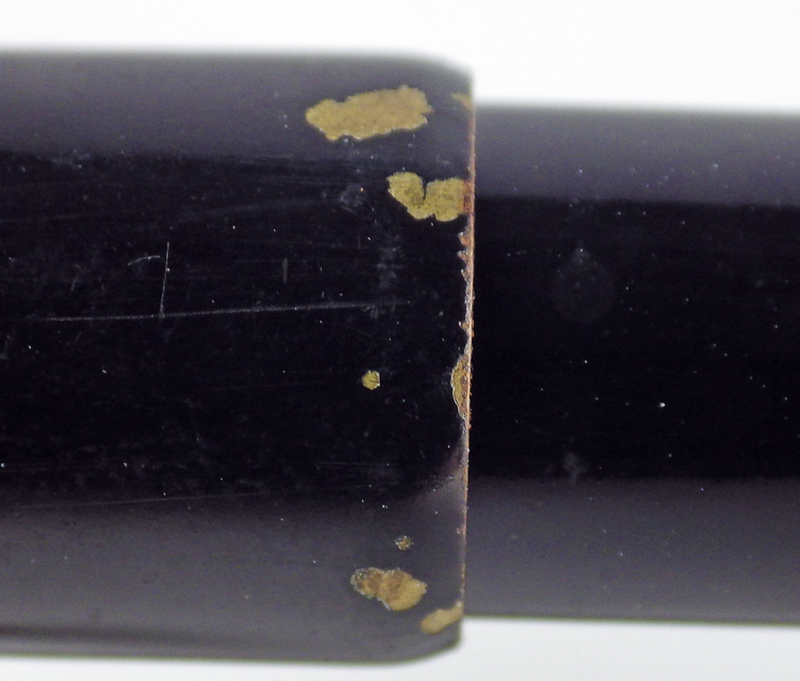 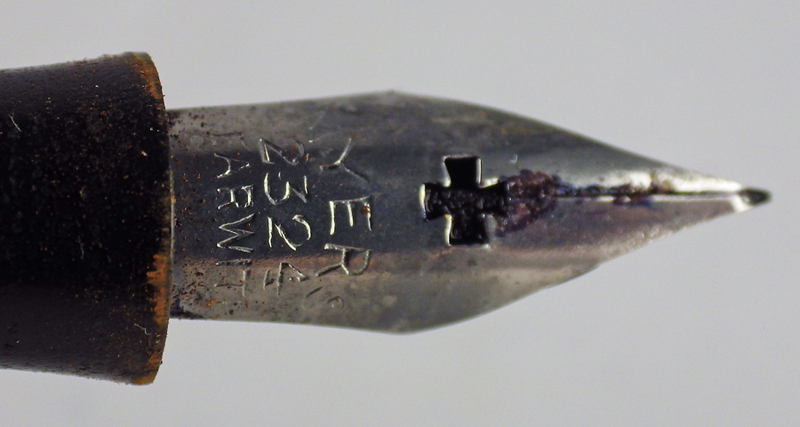 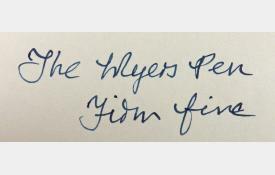 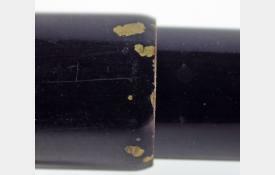 Myers were long known for their dip pen nibs. 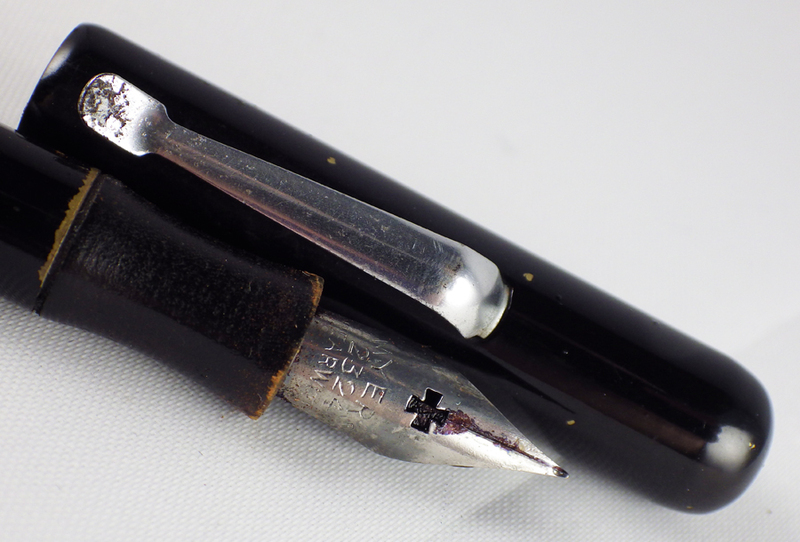 The nib in this pen is steel and a firm fine. 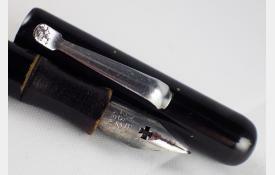 An unusual pen but an excellent writer.